RimSavers are the most durable product offered by RimBlades. 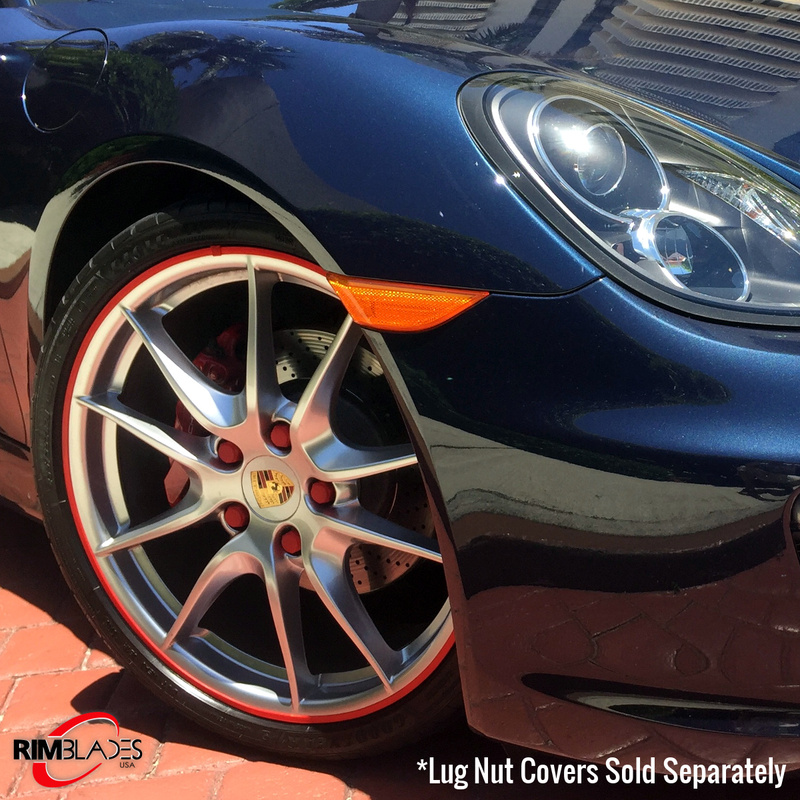 Designed to be light weight and durable they are a barrier between the wheel rim and the curb. They simply stick to the wheel with a very high bond tape for easy DIY installation with no removal of the tire required. RimSavers have a guide lip on the top side that makes fitting very easy. The included clips add strength and cover the seam so the cut doesn’t have to be perfect. Each RimSavers kit includes 4 cut strips that fit up to a 24” wheel. 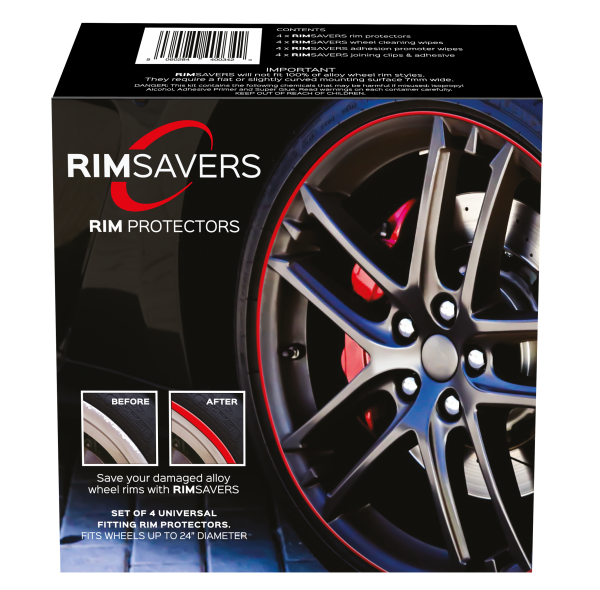 Cleaning wipes and adhesive primer wipes ensure a long and lasting bond to the alloy wheel surface. Joining clips and glue are provided to finish the installation. 12 colors available. WARNING: Cancer and reproductive harm – www.P65Warnings.ca.gov. See ‘Downloads’ tab for more info. Please process promptly as last order took too long. Thanks. Nice video demo. 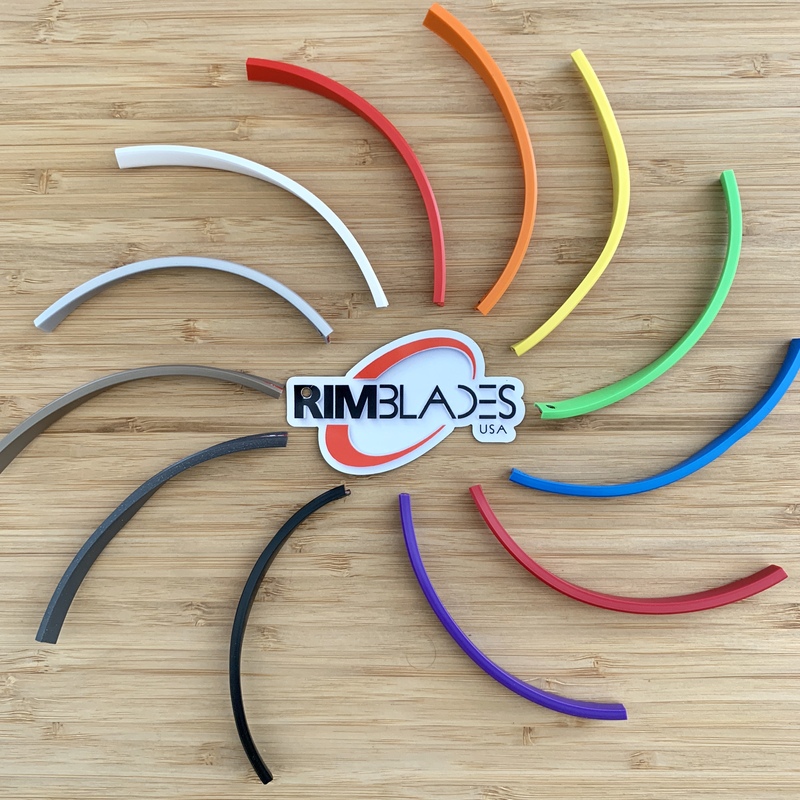 I purchased RimBlades for a previous car, and I’m looking forward to installing RimSavers, which appear to be a superior product. I will be sending a Photo(s) of my Z4 with the RimSavers that I ordered, which I followed the directions to the t. Since I put them on I have been in a Car Show and Cruise and they looked Fantastic and have stayed in place. Next weekend I will be another Car Show and looking forward to another Great Show, Thanks to RimBlades USA. I ordered some RimSavers for my 2016 Corvette and I love them so I placed another order for my 2016 Chevy Impala. A superb product will probably order for future vehicles. 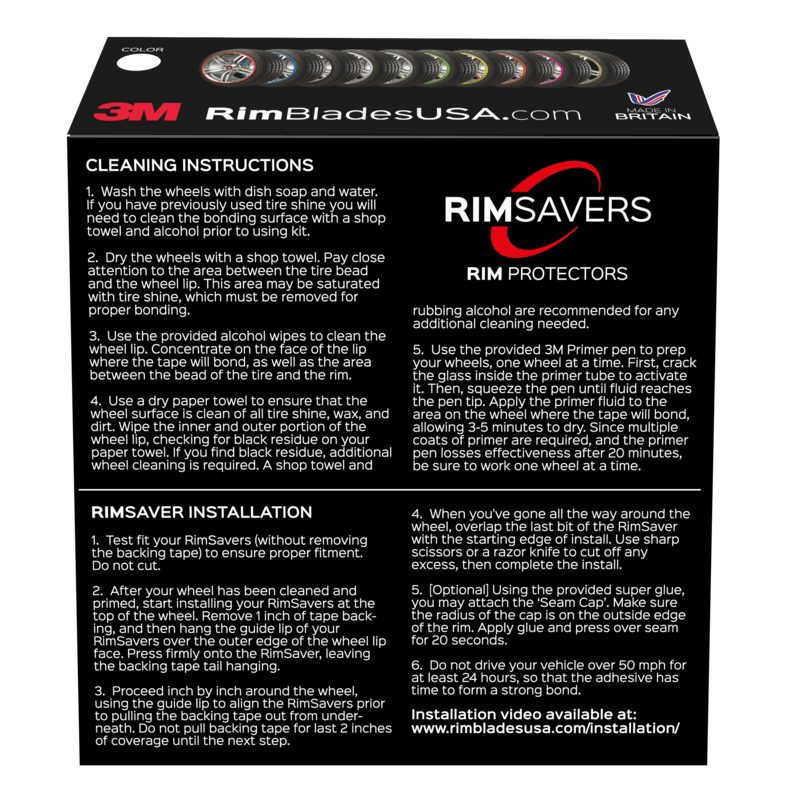 This is my second order, I have received many compliments on my past RimSavers. So far so good. Have not driven at high speeds as yet. Will see. 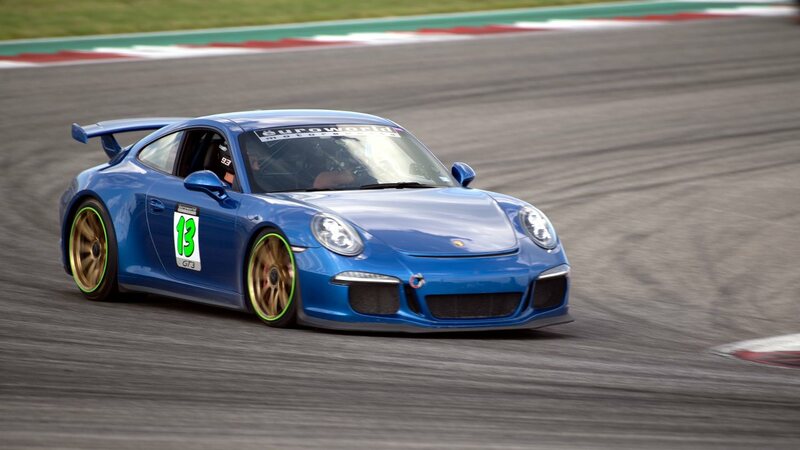 Everybody loves the look on my wheels, told a lot of people about your product, 4 that have purchased them already! 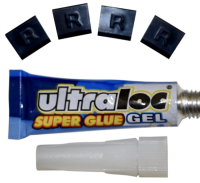 Site was easy to use, I purchased a set of RimSavers for one of my other vehicles and I am very happy with the product. Installed them. Been on a day. Look great. Just waiting to see if they stay on in highway driving at speed. For now, they are a great product. Great quality and good customer service. I will shop again. Love the RimSavers…just ordering a backup set. I have installed them on my summer rims so they will not be used for another month yet. Just as advertised. They were easy to apply and if they work as well as I hope they will, I will let you know. The RimSavers look really good. Adam is a great guy and the RimSavers are Rad! They add a sporty touch while not taking away from the classy look of my Infiniti Q50s..
Co-worker got these and I had no clue these existed so I’m very excited to try them out. He loves his! Couldn’t be more impressed with your product and your Company. They look great on my white Corvette convertible with red interior. Had a minor issue, and was called immediately by the home office, and they gave me all the information that I needed! Was Easy to order and the product was awwwwwwwwwwwwwwwwwwwwwwwwwwwwwwwsome. This was very easy. thank you! These are awesome and wish I would have known about them sooner. Pretty simple and straightforward, was impressed by the fact that I could order a single protector and that really satisfied me, initially I thought I had to repurchase another 4 protectors. Much nicer than other brands, great performance. Pretty good really makes my Camaro pop!!! I had no issues. Effective website. Easy to find what I needed. Quick and easy. Check out was the same easy and quick. Very impressed with the company, They have great customer service and will do whatever it takes to make sure its right and the customer is satisfied. Fantastic company and product. Last time they didn’t send my Rimsaver joining clips. Your product appears to be much higher quality than the cheaper ones. Wish you could add different colors. 100% , 2nd time using RimSavers. 10-out-of-10 !!!!! Always been satisfied with the service and great product. the only thing I have a concern about is the width of the new Rimsaver. I used the original on my Crossfire and I like the size of them. When I finish one, then I can decide. This product and support is the best. First time for me it good experience it easy. Superior and easy to use. Fast service and product adds to the look of the wheels. Great product. I have two sets already. 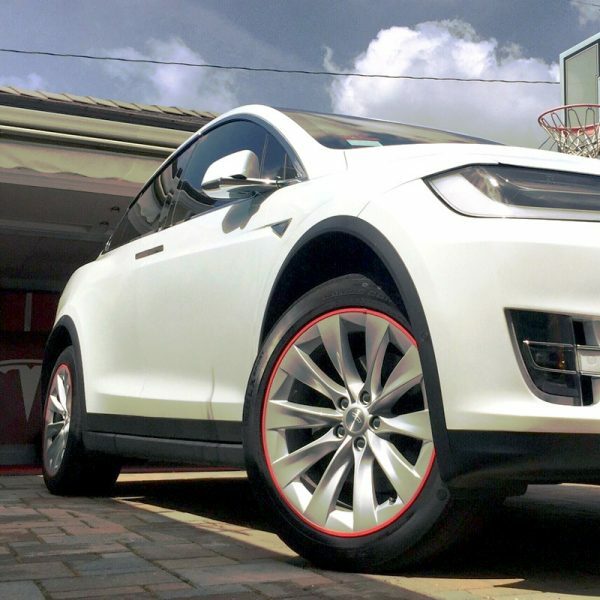 Make your wheels look sharp. Seamless and easy, the installation and demo videos were great. The install video I watched was helpful in seeing how easy it is to put the rim savers on. Also, the thing that helped me make the purchase the most was the pictures of vehicles with the product installed already. I like to see what others have done, which colors they used, etc. Now that I have them installed on the car, they look amazing. They’ve already gotten compliments the first time the car was out of the garage. I will send a picture for the website. Ordered the Rim Saver for my 2017 Alfa Romeo Giulia. Product arrived in a short time period. Opened the box..everything was neatly packages. Great. Washed my wheels with soapy water and dried. Cleaned wheels again with alcohol and let them dry. Cleaned them again with the cleaning agent provided in the box. Applied the adhesive enhancer and then the RimSaver. Looked great. Got to the fourth wheel, the adhesive enhancer was dried-up (manufacture issue not RimSaver.) 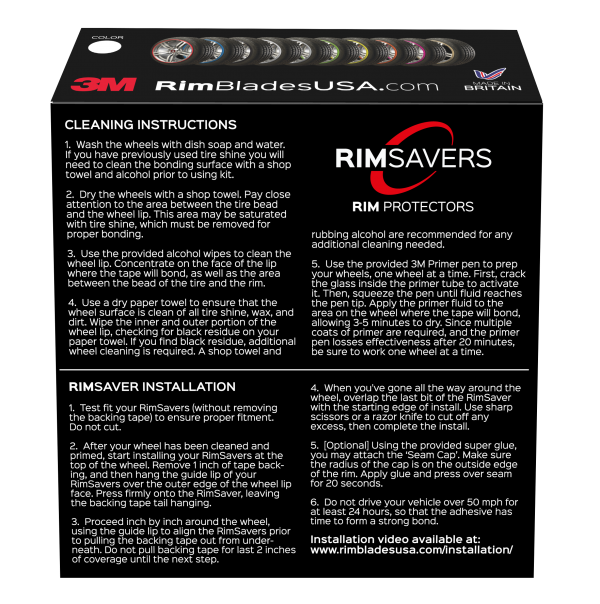 Called RimSaver, response was super fast and professional. They get 5 STARS. I did not drive the vehicle for 48 hours to make sure the everything was dry. Took the Alfa on the road. After 30 minuted or so, the first one came off. Pulled into a lot, a second one was loose, so I took it off. On the way home a third one flew off the wheel. Full transparency, I was doing 60 MPH. Maybe the reason was the way the wheel was manufactured (powdercoated?? not sure) In any event, I was disappointed that the product failed on my car. 80 bucks gone. Different manufacturing process/coating on the Alfa rims? Your guess is as good as mine. I am no expert. In all honesty, the product looks great and will do the job as advertised. If they work for you, that’s great. For me, I’ll just make sure I keep away from the curb rash. R.R. – First, thank you for your review. Second, while it’s possible that your specific wheels are incompatible with RimSavers, most of the problems people have with adhesive are related to silicone based tire shine. 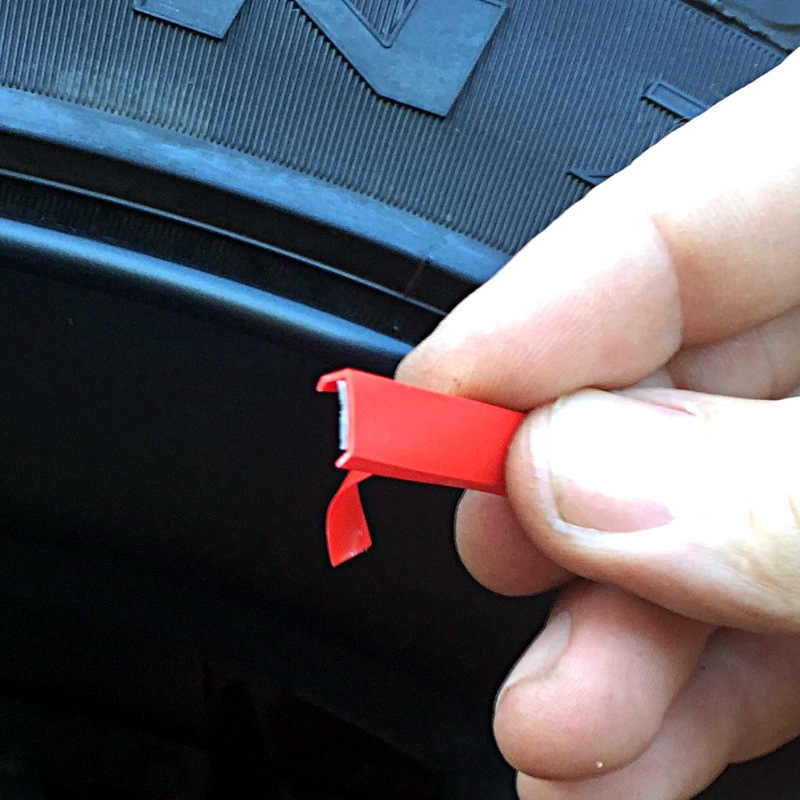 This is the most common type of tire shine, and – nfortunately – just a few molecules of silicone will cause bonding problems between the wheel and the adhesive we use on our product (which is the same adhesive used to attach wheel weights – heavy-duty stuff). Still, it sounds like you cleaned the wheels very carefully before installation, so it may be that the issue is something other than a bit of tire shine contamination. It’s hard to say without knowing more. In any case, we thank you for your review and will be contacting you shortly. We have a 1 year no-questions asked guarantee, and we want to make sure you’re satisfied with the product. Please look for our call later today. Rim savers showed up 3-days after I placed my order. Going to be good. They look great! Steve – Thanks! We’ve just added a new installation video to our site that will hopefully make things a little clearer. Absolutely Amazing! Bought mine about a year ago, black rims with red rings, perfection! Get a lot of comments, all good! Definetly worth the 5 stars, about ready to buy my second set, to replace mine on now and try out some lug nut covers, thank you RimBlades!